"We take people at face value and as long as they respect the staff and other customers they are welcome." If 'Cork' is an anagram of ‘rock’, then nothing screams epitome louder than the flame-emblazoned fortress that is Fred Zeppelins. The pillar of Parliament Street will mark fifteen years in the business by welcoming back several past performers including alternative acts Hope Is Noise (Oct 26th), Rest (Nov 2nd) and The Frank & Walters (Nov 16th). No mean feat in current climes, what does it mean to owner Tom Keating who has steered the ship so successfully for fifteen years? The G-Man: Congrats on turning 15. What does it mean to you personally to still see Fred's going strong after all these years? Tom from Fred's: Well it's obviously great from a personal point of view in that it means I still have a business given the economic climate that prevails. We have been able to survive the recession so far but we never know what’s around the corner. If it's one thing I've learned it is never to be complacent and to treat everyone with respect. As a wise man once told me (actually Ted who owned Preachers [on Washington Street, Cork] years ago) when your pub is full you think it will never be empty and when its empty you think it will never be full again. What do you feel sets the place apart from other live venues? In my opinion what sets us apart is that we have had an open booking policy from the beginning. We don’t vet bands. They don’t have to send in demos, cds etc. Anyone can play in Fred's once they are over 18. We do issue a set of guidelines to acts which basically shows them how to put on a gig: where and when to put up posters (so they don’t break any laws by fly-postering etc.) and encourage them to do up well designed posters as, to most people, a bad looking poster means a bad gig. On our end we supply the room and a recently upgraded top class sound system. How has the original business plan changed since opening day? It changes every week! To be serious, 15 years ago we set out to open a bar with a small live music venue and to this day that's what it is. Sure you plan things ,in the venue we've ran everything from reggae nights to rock karaoke, punk bands to burlesque nights, beer pong to black metal gigs. Some things work out and some don't but you have to keep doing and putting on different things. Last weekend we had Sinnerboy, the best Rory Gallagher tribute in Europe and this weekend there’s a band called Rolling Thunder playing their first gig so it's always evolving. From the outside, Fred's has an image of heavy metal biker bar yet that's simply not the case is it? Well I'm sure you've been there so you know its not the full story. Fred's is a rock bar but how you define that is another thing. Do we play rock music? Sure. Do we play metal? Sure. We also play blues, ska, classic rock, indie, alternative, gothic, electronic, grunge punk etc. and our clientele reflects that. It's the kind of place people come for a good time and there's normally a great atmosphere. We are lucky to have have a great loyal local trade with many of our customers having been with us from the beginning. Then on different nights you will have a certain type of crowd in for a gig and then we also get an influx of tourists during summer and students in winter which makes for a great mix of people. During the Jazz Festival last year Brent Pope [RTE rugby analyst] arrived with 17 friends in tuxedos on a stag party from Limerick and said they were only going in for one as they were on a pub crawl. Four hours later they left having had a brilliant night; It’s that kind of place. We take people at face value and as long as they respect the staff and other customers they are welcome. What does a venue like Fred's mean to cork? Well it means that in the last 15 years we've become part of the culture of Cork. 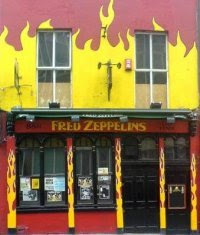 It was nice to have it highlighted by Lonely Planet when they said seeing a gig in Fred Zeppelins was part of a perfect day in Cork. It means that bands will hopefully always have a place to play. You need that place where you can make that jump from the bedroom or garage into a venue that doesn't judge you because you can't come up with a demo. In early 2013 we will be hosting a second series of showcase gigs featuring some of today's up and coming acts which we hope can make an impact in the future. Tomas, who looks after the bookings in Fred's, will be running it and last year Tomas Mc Carthy and Emerson were among the acts who stood out. Acts only need a minimum of 15 mins of material in order to take part. Cork is currently riding a purple wave regarding new bands. Which ones stick out for you? Of the acts that I've seen in Cork I think Time is a Thief, Slow Motion Heroes, Echogram and Tomas Mc Carthy have big futures ahead of them. I'm still amazed that a big record company hasn't swooped for Hope Is Noise who are my favourite band to every play Fred's. Now that you mention them, the recent Hope Is Noise festival was a great weekend. How important is it to provide the foundations for local bands these days? As I have said earlier we are now recently upgraded our Pa and sound system so that it is now on a par with venues four times its size. 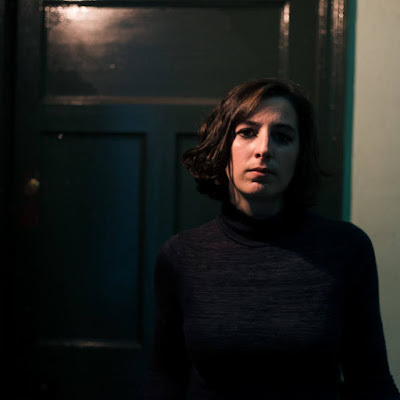 By doing so we hope to put on a few more gigs per week with acts from Cork and further afield which will in turn enhance our standing in the business. To be able to be involved in a small way to the the development of artists is a pleasure. Over the years Fred, Rest and Rulers of the Planet are notable among those bands who played their first gigs in the venue and Mick Flannery used to play here regularly with his band Black Orange before going on to solo success. We recently put on a free gig for a Dublin band Kodaline who I believe will be huge. Since they played Freds five weeks ago, they've received 300,000 views on Youtube and been played on Radio One in the UK and are now being featured on Greys Anatomy in the States. Last Sunday we had Cry Monster Cry, no one turned up, it happens. It's a two sided coin and it can fall either way. We asked some regulars to give them an audience and the band played a superb set and gained a dozen fans into the bargain. 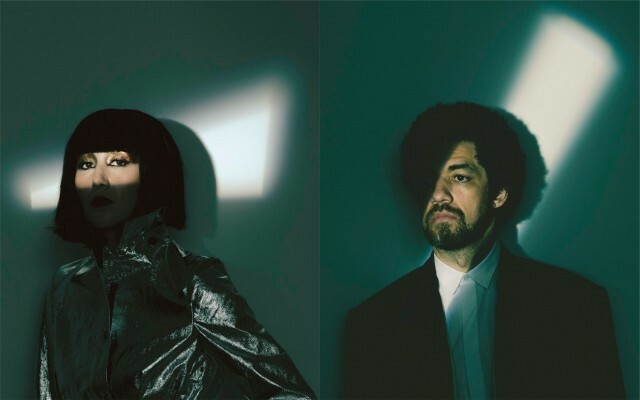 They thanked us, said it was the only venue on their five date Irish tour which gave them a pleasant welcome and said they would love to come back again and we will have them back again as who's to say they won't be the bigger band at the end of the day. That's this business, it can be instant success for one and a slow burn for others. What are your top three memories of the past 15 years? Hard to say really, so many great memories but a few stand out. An early one was hosting the last gig of legendary 90s band The Shanks, an amazing live band. Another was when Evan Dando played an acoustic set in the bar. I had promoted his gig in the Half Moon earlier that night and we came over to Fred’s for last call and someone asked him would he play a song. He had left his guitar at the hotel and borrowed one from a customer. Mesmerising is how I remember it. He is still a friend and we subsequently named our son Evan after him. And to keep it to three when Megadeth played the Marquee two years ago we put on a tribute night the evening before with Cork metal veterans Flatline transforming themselves into "Langer 18" [for the night]. Megadeth got to hear about it and tried to slip into Freds under cover for a look, beanie hats pulled over hair etc., real James Bond stuff. Of course they were recognised immediately, and they legged it down the road as soon as they were asked for and autograph.